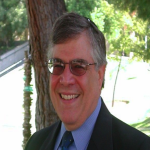 Bruce D. Friedman, PhD, ACSW, CSWM, LCSW, Professor of social work program at California State University, Bakersfield. Dr. Friedman is past president of the board of the National Network of Social Work Managers and serves on the editorial boards of the Journal of Social Service Research and Social Thought. He is also the editor of the special issue of Social Work and Health Inequalities that will be published in the International Journal of Public Health. Dr. Friedman’s interests focus on social justice issues, especially work with Temporary Assistance for Needy Families (TANF) and welfare-to-work recipients, homeless people, and people with mental illnesses and substance abuse issues and their families. Cultural factors associated with childhood obesity and substance abuse are other areas of research. Specifically, these interests may be categorized as inequality issues within society that effect the population. Much of his research could be classified as community-based participatory research. He has been very involved in developing strategies to improve educational delivery systems. He has trained community-based physician educators and other professionals in the art of active learning to enhance the learning environment. Dr. Friedman is noted for taking complex issues and simplifying them, as noted by some of his books, How to Teach Effectively: A Brief Guide (2013, 2008), The Research Tool Kit: Putting it All Together (2006, 1996), and The Ecological Perspectives Cookbook: Recipes for Social Workers (1999).